The National Academy of Science (NAS) has confirmed that the Mexican gray wolf is, in fact, a distinct subspecies from common gray wolves. As a result of the study, which was commissioned by Congress, the animals will keep their endangered species status. This is great news for organizations like the Center for Biological Diversity that support reintroduction efforts in Arizona and New Mexico; however, for local ranchers, the decision isn’t one they are happy with, considering these wolves often prey on livestock. This isn’t exactly new news. In 2018, as goHUNT previously reported, University of Arizona researchers completed a genetic analysis of Mexican wolves and discovered that 98.9% of the Mexican wolf genome is specific to the subspecies. 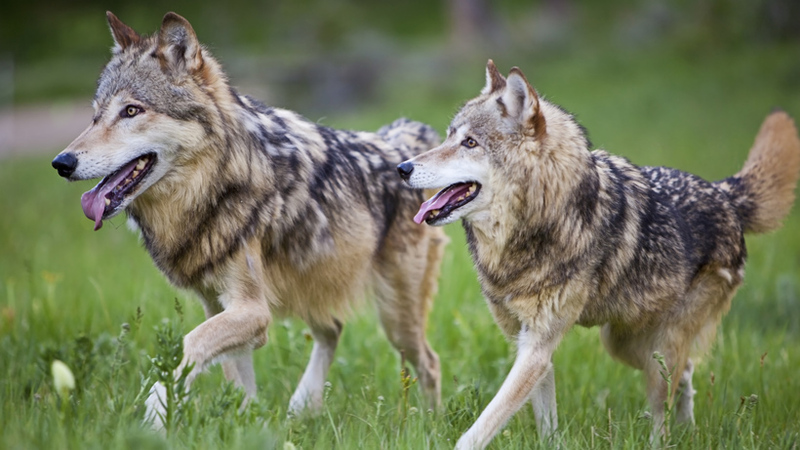 Mexican wolves disappeared from the wild in the 1970s. While the 2016 survey counted 113 wolves, up from 2015’s count of 97, the animals are still far from recovery. In 2017, the U.S. Fish and Wildlife Service released its Mexican gray wolf recovery plan, which concentrated recovery efforts in the predators’ core historic range: south of Interstate 40 in Arizona and New Mexico and just south of the border in Mexico. Yet, according to Martin, wolves – even protected wolves – still cause havoc to livestock producers, preying on cattle or causing other impacts. Yet, Michael Robinson, senior conservation advocate for the Center for Biological Diversity, thinks the latest report is significant because of the scientific aspect of the NAS report. “The Mexican wolf has some powerful enemies and I’m just grateful that science operates on integrity,” said Robinson. This is good news. And to the EVP of the Arizona Cattle Growers Association, he should know better. AZ is working very closely with the ranchers, and have gotten a lot of the habitat where these wolves are being reintroduced designated "Experimental Population Area", which gives the agency and the ranchers the ability to manage troublesome wolves. Yay Save The Wolfs The ANIMALS were Here First!! We have taken all the land and thats a Crime!! !